Recently I've had a few comments by how good my skin looks. I'm not just saying this because I'm reviewing skin care products, because usually at this time of year my skin quite frankly looks horrific. The combination of cold outside, heating indoors and usually some kind of sniffle usually means that come the end of winter my skin looks seriously pasty and dehydrated. A few weeks ago though, I began using the new Multi-Active Jour and Multi-Active Nuit, sent to my by Clarins and I can already notice a difference. Both creams contain Teasel extract known for it's antioxidant properties. 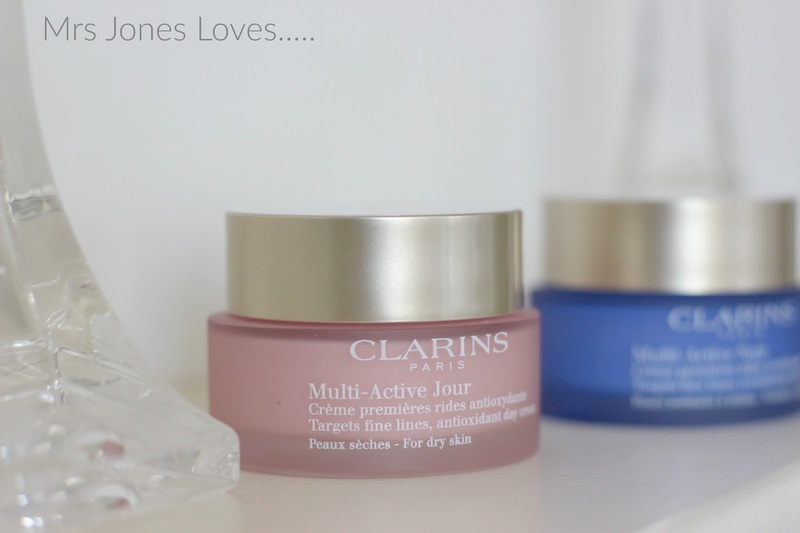 It's fantastic that Clarins bases so many of it's skin care products on plant extracts, I'm all for plant power! However, as someone who prefers natural ingredients, silicones and fragrances appear a little too high up in the list of ingredients for my liking. The day cream is of course lovely and light, leaving a great base for make-up. 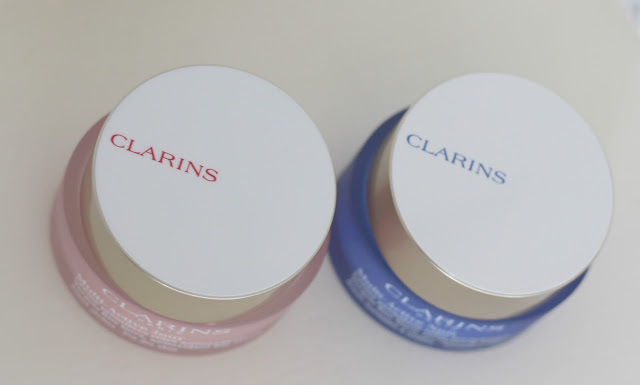 I really like that the day cream doesn't contain SPF too as I prefer to layer my own SPF underneath make-up whenever I feel the need, Clarins actually does a great one which I reviewed last year here. I'm also a fan of the packing, I prefer jars to pump dispensers, they make it much easier for me to control how much product I use. I have been using both creams for just over two weeks and I can definitely notice a reduction in fine lines. 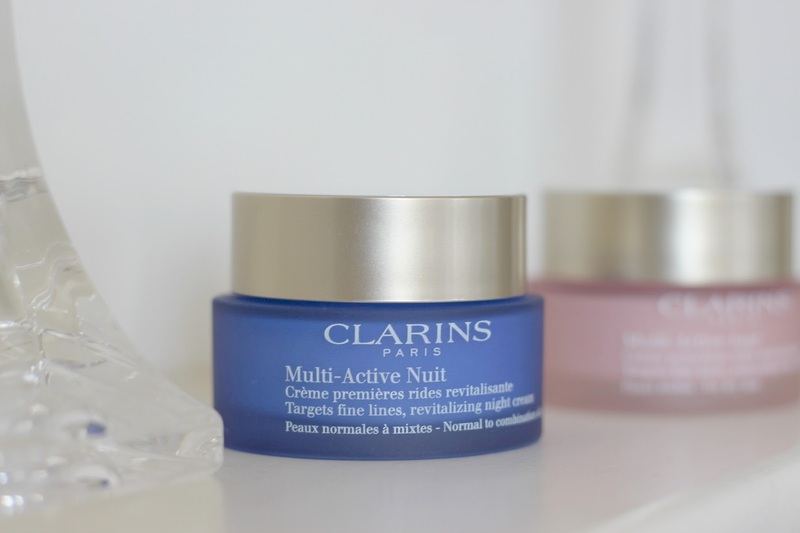 I normally use the same cream for day and night, and using the Multi-Active night cream means that my skin feels much more hydrated and a night-cream something that I'm going to take in to consideration when I next buy a moisturiser. What are your favourite moisturisers and have you tried any of the Clarins Multi-Active range?